Give your presence a glamorous look with this brown designer suit. 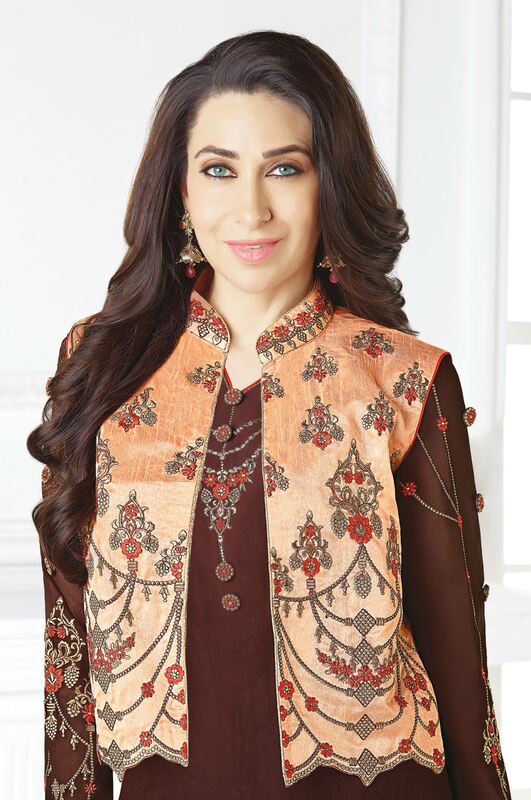 This faux georgette straight suit showcased by Karisma Kapoor is stylized by embroidery work. Comes with beautiful embroidered koti with dull santoon lining & bottom, along with heavy chiffon dupatta all synchronized well with the latest trend and style. This semi stitched outfit is perfect to wear at parties, functions & occasions. Team this suit with ethnic accessories and high heel for a complete look.